Automotive access issues such as broken locks and lost keys are surprisingly common scenarios for motorists, and the nature of these issues means they can strike without notice. These situations can be made even more of a concern when they unfold far from a familiar area, after standard business hours, and during inclement weather. 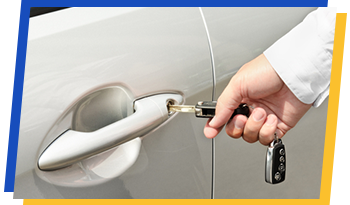 American Local Locksmith puts an emphasis on our suite of automotive locksmith services to bring you peace of mind during a highly stressful situation. The American Local Locksmith staff is equipped to quickly create keys for both newer and older model vehicles thanks to our mobile operations centers, equipped with tools to create keys, recode locks or even replace them entirely all with the tools we bring to the site. We can bring a total resolution to your automotive access issues in minutes as well as offering affordable rates compared to dealer service options, making American Local Locksmith the objective choice for your automotive locksmith needs.